Hunger for success and a relentless work ethic were the driving forces behind Dee Goodz unexpected DONNY CASH mixtape release. Having amassed a huge catalogue of songs during the recording process for his debut album 'FFM' which is due to be released in the near future, Dee could not wait a second longer to release this juggernaut of a mixtape into the universe. The production on this project is aggressive and melodic throughout, the concepts and content are relative, current and relatable, and the hooks are clever and catchy. Nesby Phips, Da$h, Ro Spit, and the Key Wane produced track Eatin, are all featured on the project as well. 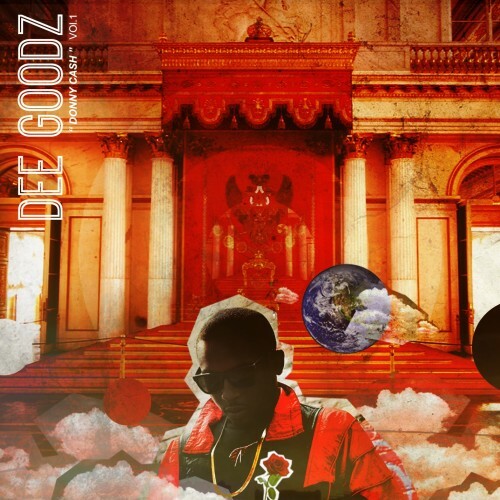 If this mixtape is comprised of the songs that didn't make his album, we all might be in for a real treat when Dee Goodz debut album FFM drops. Love a few tracks here : "In a Minute", "Nothin", "Anotha Day", "Hall of Fame". Those tracks had great productions. That was enough to make me want to listen to his other mixtapes. Well @Juswolf22 is obvi a troll hater cause he just keeps tryna leave a hater comment on the top of Dee's comments haha. Everybody knows damn well this tape is FIRE!